I have just installed the fckeditor on the admin pages of my website. I installed this and got it working on other site that i did earlier. But this time, when i click on anything like....image properties, hyperlink or any other button on editor....it pops up the dialog box and doesn't go beyond the loading bar. I'm having the exact same problem. 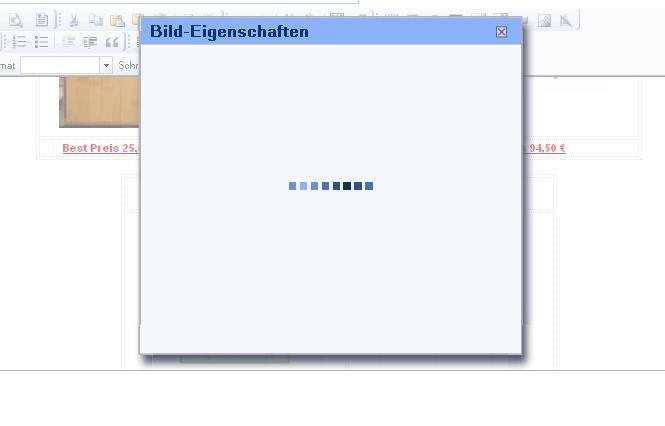 I'm using FCKeditor as part of phplist and no matter what I try it always hangs at the loading bar. Did you have any luck in finding a solution Darshan? I had just installed v2.10.10 (phplist), and was getting this hanging when trying to upload an image, and also XML Error 200 when going in to "Browse Server"